I’m enclosing an interview in the River View Observer that was distributed throughout Hudson County, NJ. 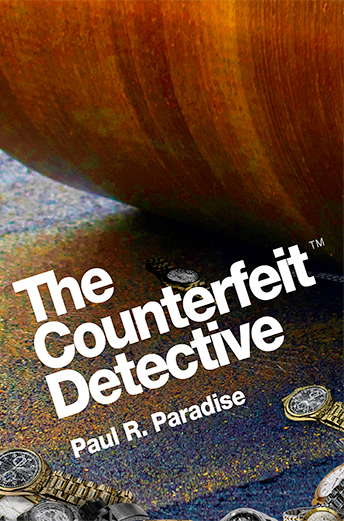 The Counterfeit Detective is available for pre-order. 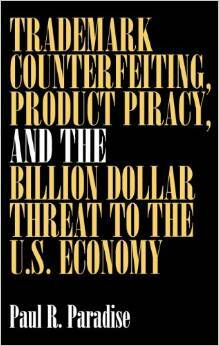 I read a chapter recently at Pratt Institute’s Alumni Day and I delivered a short speech on The Counterfeiting Epidemic on cable television on Saturday. I’m going to be interviewed by the River View Observer this Thursday. 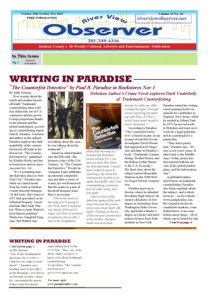 Check my website: www.paulrparadise.com. In April, U.S. Customs and Border Protection (CBP) and U.S. Immigration and Customs Enforcement’s Homeland Security Investigations (HSI) announced there were 23,140 intellectual property rights seizures with an estimated manufacturer’s suggested retail price or MSRP of $1.2 billion in 2014. The People’s Republic of China remains the primary source economy for counterfeit and pirated goods seized with a total value of $772 million, representing 63 percent of all IPR. Wearing apparel and accessories continue to be the number one commodity classification based on number of seizures with 7,922 seizures or 28 percent. Watches and jewelry are the largest commodity classification by value with an estimated MSRP of $375 million or 31 percent.